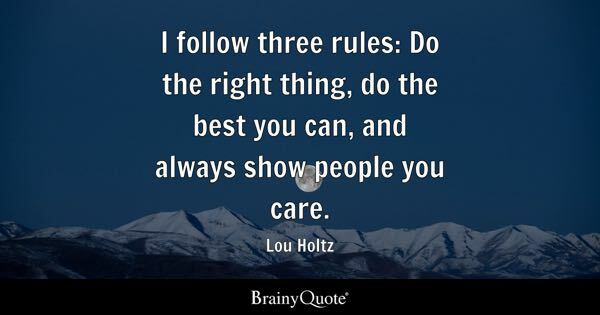 Many years ago I learned a quote, “You can’t do wrong by doing right.” Today, I learned it was from a recording by Phil Harris in 1949. And doesn’t it just make so much sense when given some thought; maybe it should become a motto for this new year. Trying always to do the right thing instead of the wrong thing could be a first step towards a better world. Trouble is too many of us think we’re right when we know we’re wrong. There’s a great scripture that reflects on this very thing: Romans 12:2…Be transformed by the renewing of your mind. How many leaders do we know that need to heed this advice? How many of us need to heed this advice? It made a huge difference in my life when I put it into practice in the 1970’s and I’m still working on it. Here’s another quote that deserves to be taken into consideration…”always show people you care”…is that right or wrong? This entry was tagged ages past, motto, quotes, right, scripture, transformation, wrong. Bookmark the permalink.